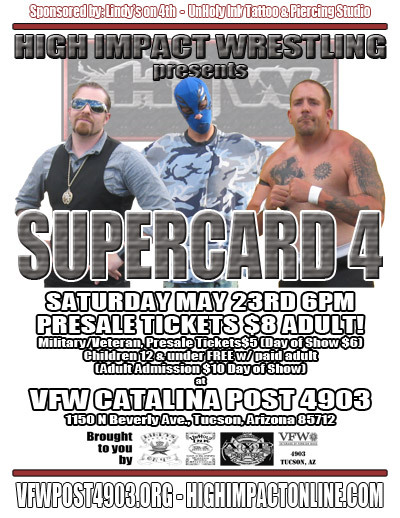 HIW returns with it’s forth installment of the SUPERCARD premier events series at VFW Catalina Post 4903! SUPERCARD 4 will be an all-out wrestling extravaganza at this beautiful, indoor venue. Information about this event will be available here or on this event’s Facebook page at http://www.facebook.com/events/1562693953996287/.